Semarang | Universitas Muhammadiyah Semarang (UNIMUS) as one of the centers of science and research development has the competency in microbiology. Hence, it held training on professionally-managed microbiology. 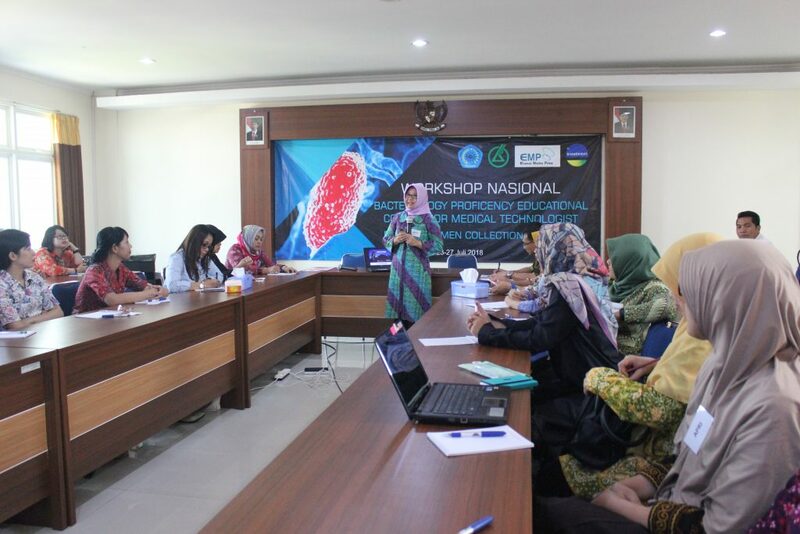 In collaboration with the Indonesian Association of Medical Laboratory Technologist (PATELKI) held a basic microbiological training in order to support and improve the knowledge and skills of the Medical Laboratory Technology skilled workers. 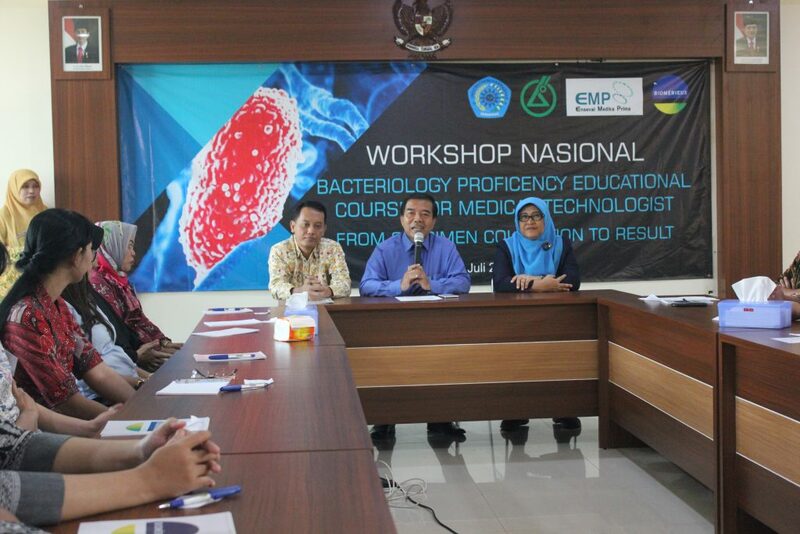 Themed “Bacteriology Proficiency for Medical Technologist from Specimen Collection to Result” (July 23, 2018), the training was attended by participants from various regions such as Padang, Medan, Samarinda, Banjarmasin, Purwokerto, Yogyakarta, etc. Dr. Dr. Budi Santosa, M.Kes.Med, the Chairman of the Regional Executive Board of the Indonesian Association of Medical Laboratory Technologist (PATELKI) for Central Java Province and Dean of Unimus Nursing and Health Sciences stated that the competencies of the Medical Laboratory technology Skilled Workers in Indonesia still needed to be improved. “Today, we begin with bacteriological theme, for the science has been developing so fast. We have to update our knowledge so that we will not be left behind. In Indonesia, the number of Medical Laboratory technology skilled workers is still a few. At the same time, infectious diseases are many. Thus, in the number of experts in medical laboratory technology will be increasing in the future,’’ he said. He explained that the main challenge for ere how to make correct diagnosis. “They are able to choose the right tools, methods, and samples. Laboratory results need to be valid because they affect the diagnosis,” he added. Prof. Dr. Masrukhi, M.Pd., the Rector of Unimus, also attended the event. He also stated that as one of formal higher education institutions Unimus also have given contribution to clinical laboratory science. 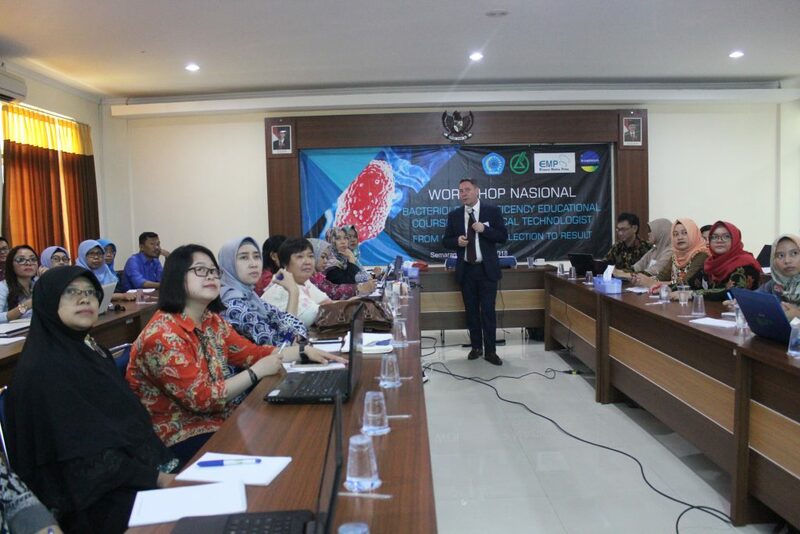 “No only becoming the host of this basic microbiological workshop, Unimus also has opened a new study program, Master’s Program in Medical Laboratory Science. It is the first in Indonesia,” he explained. He added that the training was on basic level and had to be mastered by each scientist whose activities were related to microorganism in the laboratory. He said that the most important thing was to share and update knowledge in Medical Laboratory Technology for the world of microbiology has been growing so fast. Our expectation is all participants of the training will be able to absorb the knowledge as much as possible in order to improve the competences in Medical Laboratory Technology.